A healthy lawn provides several benefits. A well maintained lawn can increase a home’s value, help prevent erosion and run off of water, generate oxygen and even provide natural air conditioning. Lawns in Indiana need all the help they can get to remain healthy and vigorous. 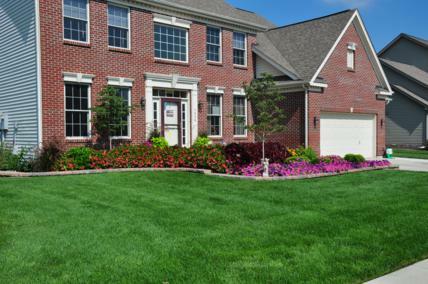 Most of our lawns are grown on heavy clay soils that are lacking in naturally occurring nutrients. Proper fertilization and weed control helps turf fight off the stress of traffic, drought, disease, and insect pests. Our lawn care programs provide environmentally responsible applications to promote healthy, dense, dark green turf that will be an asset to your property. We offer a 5 round program detailed below, with an additional grub control that we pair with our summer application. 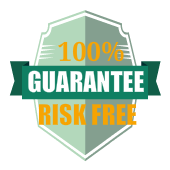 All of the applications are designed to provide your turf with the right amount of nutrients and weed control at the right time of year. Contact Us for a free lawn analysis and quote. 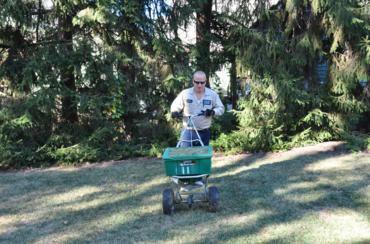 We will help to get your lawn looking so good that all your neighbors will be envious and want to know your secret! Early spring – We utilize a balanced slow release fertilizer and a pre-emergent for crabgrass and foxtail. Late spring – We include a balanced slow release fertilizer and a post-emergent herbicide for a variety of summer weeds. Grub Control – We incorporate special products to control sub-surface grubs that feed on the rogent herbicide for a variety of summer weeds.ots of grass. This application is watered in your lawn. Fall – We utilize fertilizer for root development and post-emergent herbicides for weeds. Late fall – We include fertilizer that strengthens and thickens the turf. This application contributes to an early spring green-up.